French " Crit’Air initiative" be aware! Where to go in Europe? Recommendations please. 20 y.o Bongo Euro breakdown cover, possible ? Winter camping in Europe - any tips? Long Trip Planned - what spares to bring? Hookup adapter - quality and price? Is a LiberT Toll Tag worth getting for driving in France? ESPANA winter 2015/2016 90 days plus! Our April Adventure - Holland 2015!! 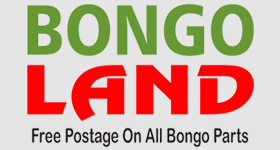 Importing a UK registered Bongo to Switzerland? Reverse polarity detector - any use?